Helps protect children from accidental scalds and burns. 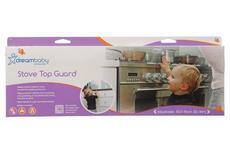 Helps prevent children from touching and grabbing at hot plates & burners, hot pots & pans. Heat resistant, poly-carbonate plastic. Also suitable for preparation counters and bench tops. 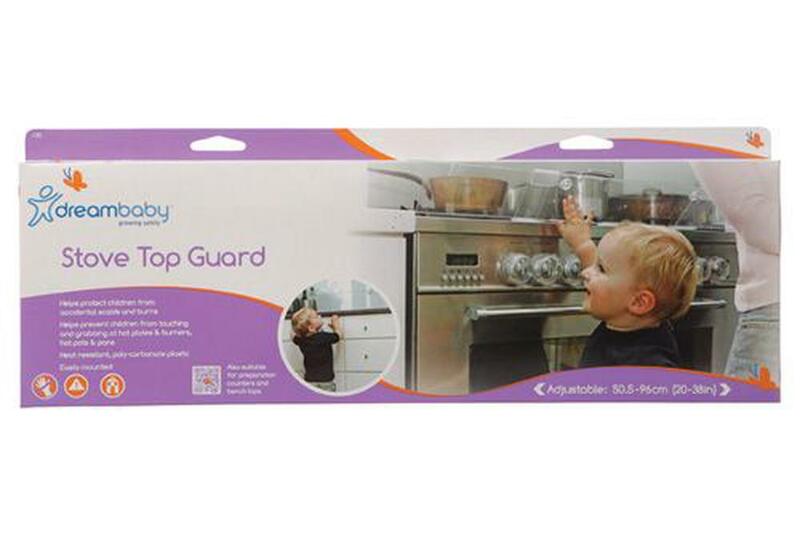 The stove top guard is a heat-resistant, polycarbonate plastic guard that helps to protect your children from injury in the kitchen. Easily installed with adhesive tape, the guard can help to ensure that your child is not burnt or has any objects accidentally spilt onto them. It can be adjusted for use between 50.5 - 96 cm and is also suitable for counters and benchtops. Adhesive came unstuck as soon as the oven was used. Clearly not suitable for purpose.